Smashwords and Amazon Kindle Store, $6.99. Do not read this book if you have a blind faith in the existence of God, or any other god(s), and you don’t want your faith shaken, stirred or otherwise disturbed. 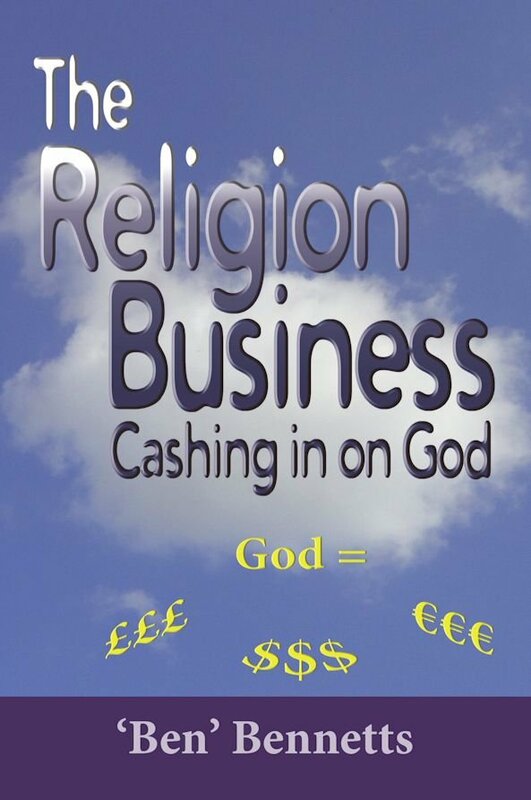 If you make the assumption that all gods, including God, are the inventions of fertile, imaginative and in some cases, manipulative minds, and then take a look at any specific religion, you see it for what it is – a business like any other commercial business, marketing and selling a product in exchange not only for money but, in many cases, mind control of a large group of people. This book is written from this point of view and surveys both ancient and modern religions, questioning the evidence for the existence of God and challenging the beliefs, doctrines and practices of major religions such as Christianity and Islam.